Refers to the ability to use popularity, keywords and key phrases in your content in order to make your site and profiles appear higher on the results list when searched through a search engine, such as Google or Bing. This is very important considering that a website is much more likely to be selected based on how highly it ranks on the results list. Due to their incredibly large following, Social Media sites can be incredibly useful when it comes to being found online. Consider for a moment the first results when entering a person's first and last name into a search engine. If you're curious, try searching your own name on Google! Often, the first handful of links on the list will lead to their social media profiles. The same goes for a company website, even if the company's official website does not regularly appear very high on search engines. The trick is to utilize those high ranking media sites by using posts, likes and linking to increase traffic back on your main page. Why do likes, follows and connections matter? They are important for several reasons, the first being that every additional like, follow and connection you make provides a greater chance for more people to see your posts. Social media sites are a great opportunity for free online marketing, and furthermore, they help people who are already trying to reach you, reach you. Even better, people who share your posts or interact on your social media pages are advertising your brand in an organic way. What looks better from a potential customer’s point-of-view; seeing your content in a direct post from your company or viewing your content in a post shared by one their friends? Keywords and phrases are very important to incorporate into both your website and social media accounts. Not only does using them help to specify which services you offer, but it also allows you to improve your ranking within search engines by signaling that your website contains information that is commonly sought out. We begin by using Google AdWords “Keyword Planner” to see which words Google currently associates with your website. After taking stock of those, we proceed to test out a few words we have come up with to check the price and popularity of those words and the related words that Google kicks out in addition to those we typed in. The information gathered from these words can be used in multiple ways. The first of which is to use within the content of your sites to make sure that you are utilizing terms that are commonly searched. 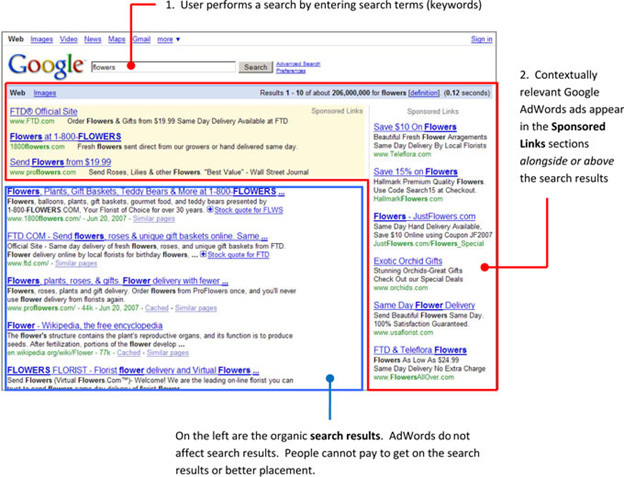 Another is for Google AdWord Campaigns. Google AdWords are search words that you can bid on. You can view the popularity and recommended price of each word through the Keyword Planner. After determining which words you would like your ad to be associated with, you decide how much you are willing to pay for each word and how much money you would be willing to spend per day. Once this is set up, the ad for your site will pop up in the AdWord section of Google Search results when you win the bid for your words; however, you are only charged when customers actually click on your link. You maintain complete control over your monthly advertising budget. Google AdWords have been shown to be particularly effective for multiple reasons, to name a few: the increase in site views causes Google to consider your website to be of higher importance, the input of AdWords helps Google to more adequately assess the content of your site, and more customers are likely to view your site with its temporary place at the top of the search results. 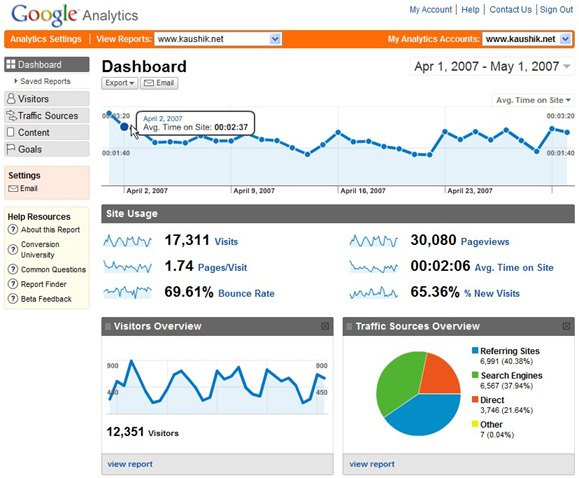 Site monitoring is used to determine how effective the present marketing tools have been thus far. Utilizing tools such as Google Analytics makes it possible to monitor the number of times your sites have been viewed following a specific change, post or event. As you can see, Google Analytics provides information regarding the time and date of the click, the bounce rate (meaning the percentage of users who immediately click away from your site), sources of clicks, and whether your viewers are new or returning. All of which can be viewed between specific date ranges which you specify. In online marketing, a landing page is a single web page that appears in response to clicking on a search engine optimized search result or an online advertisement. The landing page should be a logical extension of the advertisement, search result or link. The general goal of a landing page is to convert site visitors into sales or leads. Landing pages are often linked to from social media, email campaigns or search engine marketing campaigns in order to enhance the effectiveness of the advertisements. By analyzing activity generated by the linked URL, you can use click-through rates and conversion rates to determine the success of an advertisement. Making sure that your landing pages match up with your external links and advertisements is very important. If they do not match up, you risk increasing your bounce rate, since users will click away from your site if the page does not contain the information they are looking for.